First of all, food in Japan is really good. As a country there seems to be a higher standard of quality. I really enjoy food in Korea, but there is a lot of lackluster places to eat. I rarely go to random restaurants in Korea these days because of that. 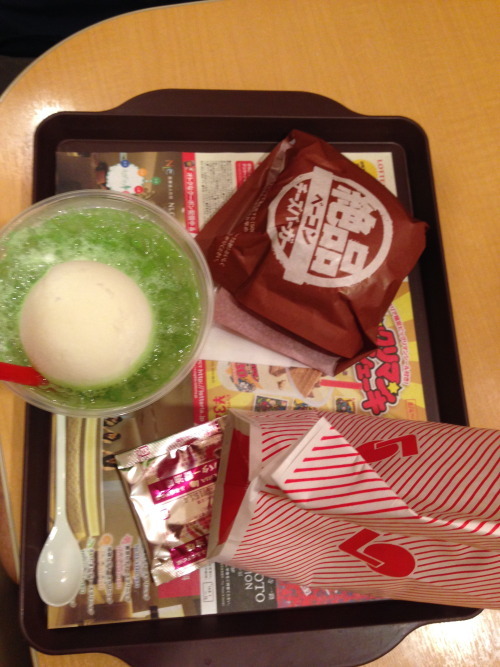 When visiting Japan, even random restaurants delivered edible delights. It is really surprising to me that Lotteria varies so greatly from Korea to Japan. For a long time I believe that the restaurant was Korean, as the parent company, Lotte, seems to be a very big company in Korea –even having their own theme park, Lotte World, here! A quick search on the internet confirms that Lotteria opened its first shop in Tokyo, Japan in September 1972 and in Seoul, Korea in October 1979. 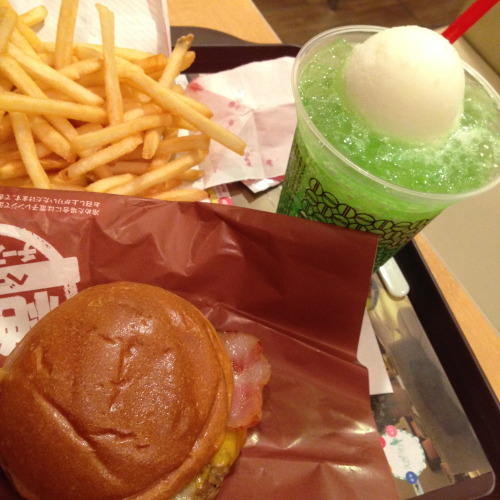 I used to roll my eyes whenever I read stories about silly burgers in Japanese Lotterias (e.g. 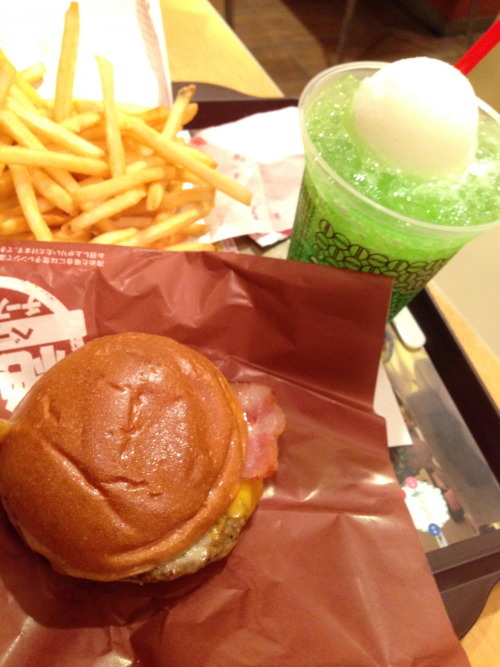 with everything burger, Kobe beef burger, burger with chocolate sauce, ramen burger), but now I just sulk in envy. I don’t know about Lotteria food in its franchises in China, Taiwan, Indonesia, Vietnam, or Myanmar –but the burgers in Japan are so good. The burger patties are peppery and greasy. In addition, the menu in Japan also includes fresh sandwiches as well as desserts like crepes, apple pie, shakes and frozen cake-sticks. Also, Asahi beer on draft! Incredible. Just incredible. Oh, I can’t wait to go back!